FEB191016 - In a time of ancient gods, warlords and kings…a land in turmoil called out for a hero! 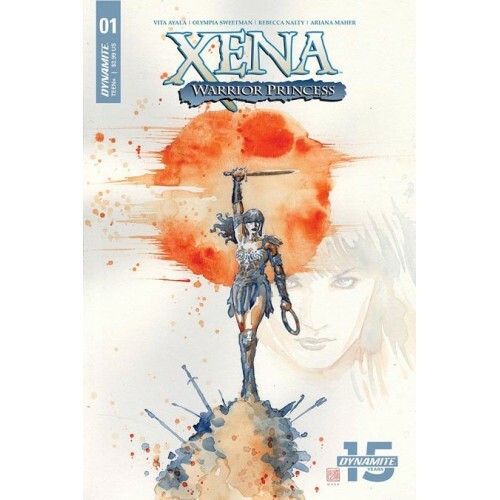 She was XENA, a mighty princess forged in the heat of battle! In this all-new series, writer VITA AYALA (Black Panther, Wonder Woman, The Wilds) and artist OLYMPIA SWEETMAN throw Xena and her companion Gabrielle headfirst into a mysterious adventure. 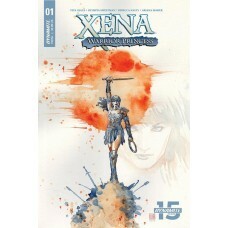 Can Xena discover the secrets of a village full of super-strong children, before jealous and petty GODS get involved?